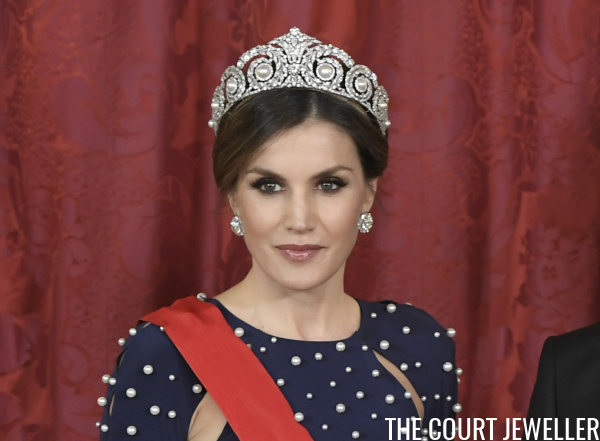 Another Tiara Debut for Queen Letizia! 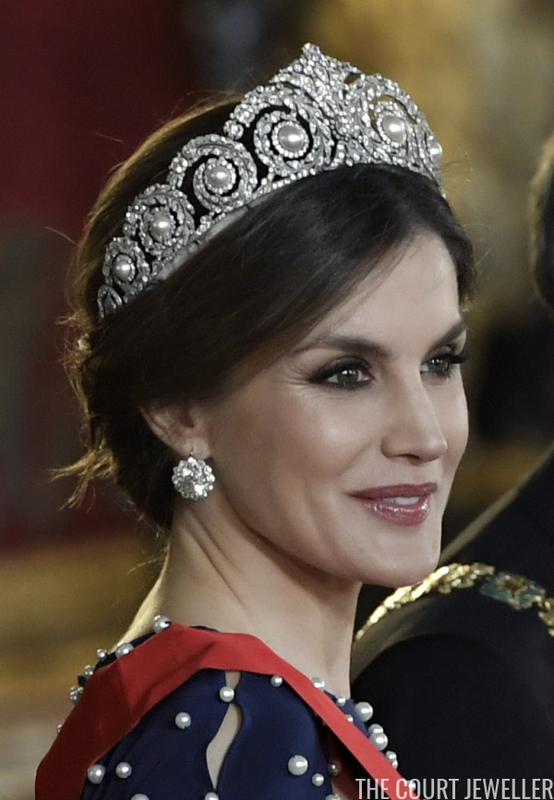 We've got a delightful tiara surprise on this Monday afternoon, magpies: Queen Letizia of Spain has worn a new-to-her tiara! 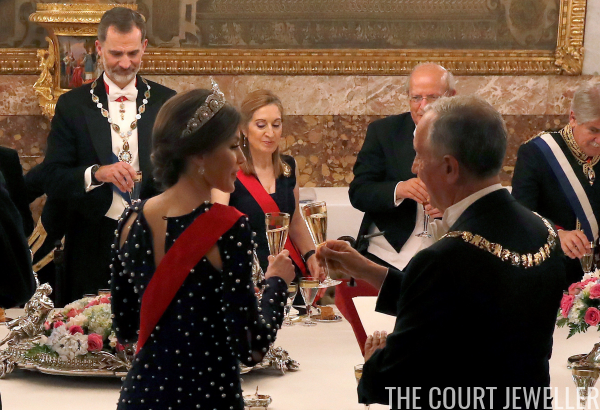 The tiara was most recently worn by Letizia's mother-in-law, Queen Sofia. If you've been following general royal news, you may have heard about a public disagreement between the two women on Easter Sunday. 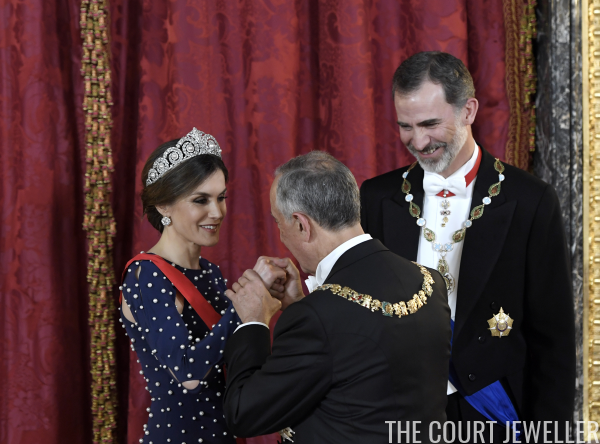 Since then, the Spanish royals have taken major steps, including joint appearances, to assure us all that the two women are getting along just fine. 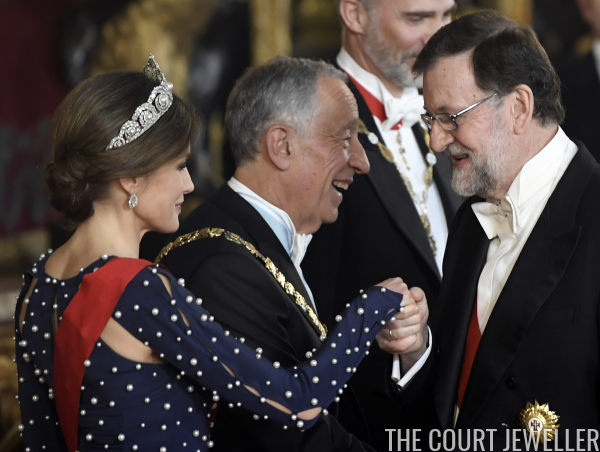 You'll note in this image that the tiara's base is still wrapped in gray velvet to match Queen Sofia's hair. Perhaps this tiara loan was another step on the part of the royal family to ensure everyone that there's no rift between the two queens, and there was not sufficient time to rewrap the base? Here's a profile view of the tiara, emphasizing the length of the sides of the piece. 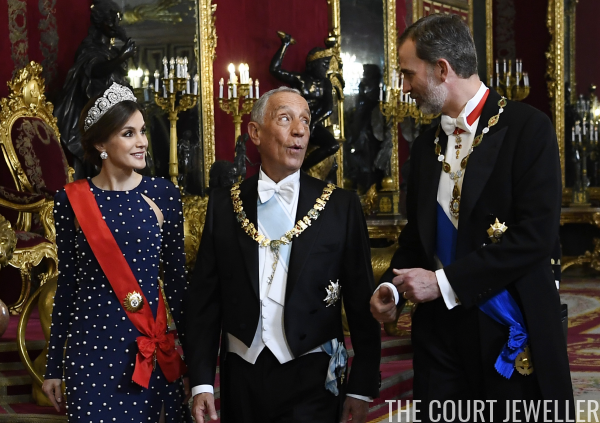 Letizia also wore the star and red sash of the Portuguese Order of Christ. 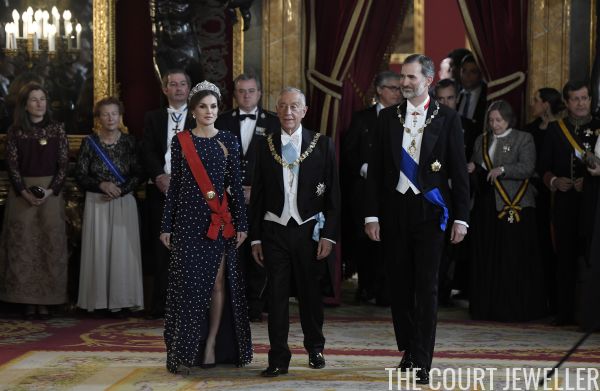 Letizia's pearl-studded navy blue gown was a dramatic choice for the event, but unfortunately it caused a quick mishap when the neck of the gown came unfastened during the toasts. It seems the problem was swiftly rectified. Here's a view of Letizia's entire ensemble for the evening. What do you think of her first outing in the new sparkler?